Point to point long distance travel is, for the most part, efficient for passengers and profitable for companies. Between the airlines, railways, and highways most places in the world are quickly and readily accessible with respect to the limitation of today’s technology. As time and technology has advanced, travel has only gotten easier and quicker. While long distance travel may be getting easier, the ease of travel in urban environments is showing an inverse relationship with population growth. As cities grow larger and become more congested, it is harder to travel through them. The problem of traffic in major cities is only going to get worse, by 2050 it is estimated that 66% of the total global population will be living in cities. This figure corresponds to the addition of 2.5 billion in urban environments. The solution addressing the urgent issues of transportation seems to be coming in the form of private air transportation. Ride sharing services have increased congestion in cities as they have become so affordable people are opting for them instead of taking public transportation. According to university studies, up to 61% of ride-hailing trips would have been made by public transportation if the services did not exist. The same ride sharing services that are contributing to the growing traffic crisis are also the companies that are leading the way in providing a sustainable solution to overcrowded streets by turning to the sky. Uber is working on an air taxi service that features electric vertical takeoff and landing aircraft to drastically shorten the time it takes to reach a destination and avoid traffic altogether. These aircraft will fit four passengers and one pilot. The first demonstration flight is scheduled for 2020, and by 2023 they are expecting to be operating commercial flights. Uber is not the only company working on making air taxis a reality. The Road Transport Authority of Dubai is working with the German company, VOLOCOPTER, who specializes in making autonomous air vehicles. The VTOL aircraft has 18 rotors and flies fully autonomous while carrying two passengers to their destination without the need for a pilot. Unmanned testing of the aircraft began in September of 2017, and after the successful unmanned test flight, it has entered a five-year evaluation period before it will start carrying passengers. The Dubai air taxi makes moving between buildings much easier in a city where the skyline is filled with skyscrapers, significantly cutting the commute time in this growing metropolis. The biggest draws to these intercity air taxis are their convenience and time-saving characteristics. However, they have a limitation; as battery operated electric vehicles, their range is limited to within the city in which they operate. For longer distance air travel, battery operated electric vehicles cannot compete with the commercial airline industry. To travel on a long distance flight in the most convenient way possible would require the use of a private jet, but typically, the cost of private jets are prohibitive for most passengers. Recently, however, a few companies have been revolutionizing the private jet industry and driving the price down to make a flight no more expensive than a plane ticket in business class. Services like Stratajet and Jetsmarter gives passengers the ability to create their own private jet flight itinerary or book a seat on an existing flight. 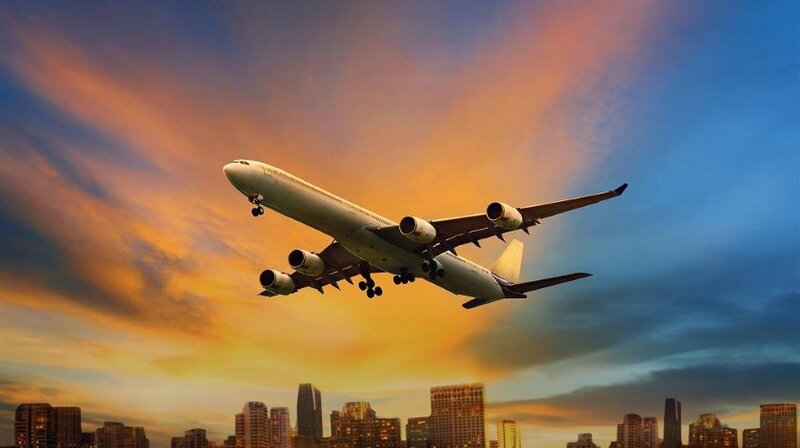 These services increase the efficiency of privately operated flights and avoid the lengthy and complicated process of chartering aircraft, resulting in significant reductions to the cost of flying. These reductions can be to a point where prices on a private jet flight are comparable to prices on a commercial airliner. The private jet market was once considered the high-end market, but thanks to changes in efficiencies and growing demand, seats on a private jet are becoming the new business class. With a growing number of cars on the road and commercial aircraft in the sky, there is also a growing industry to fill in the gaps that cars or large aircraft cannot fill. And in the process find a solution to the inconvenience of congested streets and overbooked airlines. The biggest game changers in commuting have always been giant leaps in technologies or processes that drastically reduce the time of travel. As personal intercity air taxis lift off and private jet business models become more refined, it is clear that these personal forms of transportation are in a strategic position to save time commuting, once again shrink the world, and better connect growing cities.